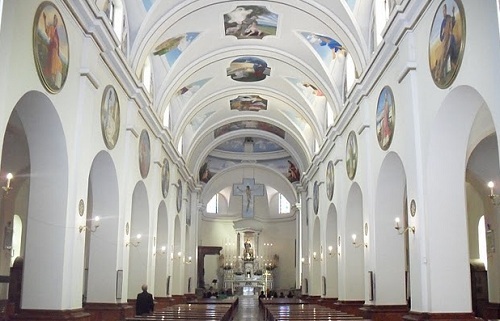 Bojano or Boiano is a town in the province of Campobabasso, the site of one of the oldest dioceses of Italy, in the 1700's there were 23 churches and 35 priests compared to a population of just 1500 inhabitants. 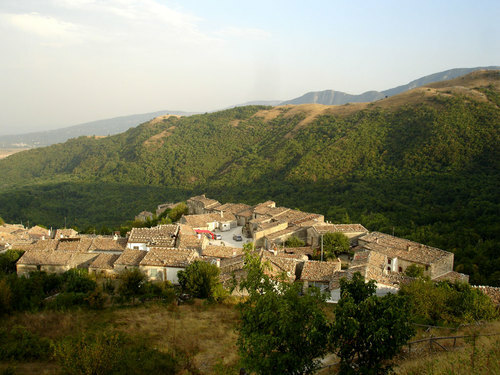 Bojano is located on the foothill of the Matese Mountain, close to the Biferno river springs, a little town whose origins, according to a legend, is due to the so called "Sanniti Pentri", who decided to build a town right in the spot where the sacred ox stopped to drink. The territory is rich in natural springs and is mainly covered with vast forests of chestnut, beech, and oak. The right combination of water and nature makes it unique. It is worth noting the presence of Italy's oldest chestnut tree, which has allowed to date the introduction of the plant in the Peninsula to the period of the barbarian invasions. Originally named Bovianum, it was settled by the 7th century BC. As the capital of the Pentri, a tribe of the Samnites, it played a major role in the Samnite Wars, as well as in the Social War, when it was a temporary capital (93 BC). 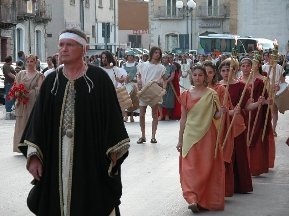 Roman consul Tito Livio describes Bovianum of that period as the strongest city of the the Sannio's region. Guarding the town were three citadels, of which, archeological evidence was found on Crocella mountain and Civita. The name "Bovianum" is linked to the legend of the migration of the Sabines, reminiscent of the sacred ox honored to celebrate the return of spring. 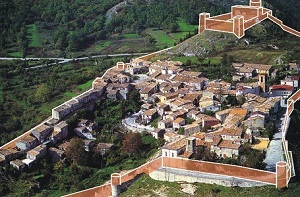 After the Lombard conquest, the deserted area was given to a group of Bulgars and became a seat of a gastaldate. After two centuries marked by Saracen attacks, in the mid-11th century it was conquered by the Hauteville Normans, becoming a fief of Raoul de Moulins, a companion to Robert Guiscard. The city became a county capital. Following the unification of Italy and later on the devastation of the second world war, Bojano lost is capital status to Campobasso. Another site worth a visit is the medieval village of Civita overlooking Bojano. From the ruins of the old castle one can enjoy the striking panorama : on one side the peaks of Matese and on the other the plain where Bojano rises up. Below the fortress is a group of old uninhabited houses with tiny alleys and a surreal silence. 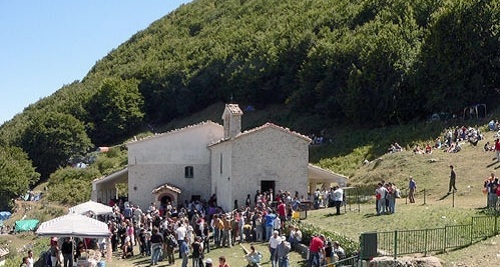 The Hermitage of St. Egidius, on a 1,025 m high mountain among the beeches woods of Matese and reachable only on foot. The little church probaly dates back to the IX - X century, nearby is yet another natural water spring. The adjacent refuge is ideal for those who enjoy hiking. The second scene is the institution of marriage understood as a community ritual where the woman was the reward for the good soldier. In the third scene the protagonist, a wise old man, incites the young warriors never lose the virtue and value. The fourth scene is the ritual of the oath of the young warriors to go to war with courage. He who refuses is killed. Richiedi gratis l'inserzione della pagina ospitale, potrai valutarla senza impegni e poi decidere se attivarla. Vai al modulo di registrazione.